2018 - we welcome your arrival. We have alot of high hopes for you this year, as after all, you are very very special year. 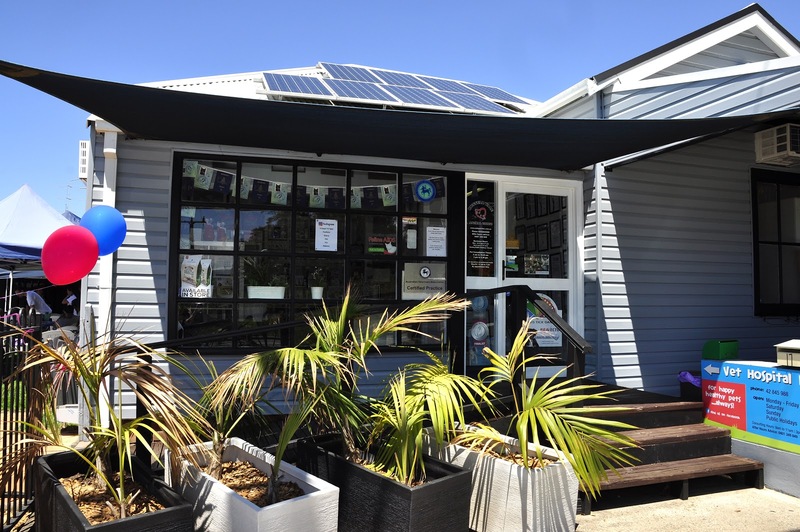 You are the year that converts Russell Vale Animal Clinic into "Celebrating 20 years" fever! 2018 - you have to deliver! You are not like any other year... you are not going to get away with the usual procrastination or "there is always next year" that many other years have got away with. 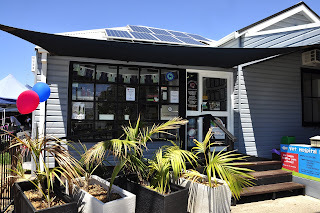 Just to remind you, 2018, as you were not there at the time - Russell Vale Animal Clinic opened in April 1998 when the only kids Dirk and I had were Tegan and Haiden, with Jenna, the dog, and Jaime, our cat. Sean was born in the first year of our vet hospital, whilst Paige came along in the second year of our opening. A huge challenge in any business, let alone one that cares for animals. Don't forget that 2018. We have face some decent challenges, so no need to give us any more. 2018, this is the year that also celebrates all of the children of Dr Liz and Dirk are now all adults! Woo Hoo! This is also the year that our eldest daughter is engaged to be married to the love of her life, two of our kids are in their second year of university, studying hard towards their future life, and our youngest - is on her "gap year" until she figures out what part of the art world she is going challenge. 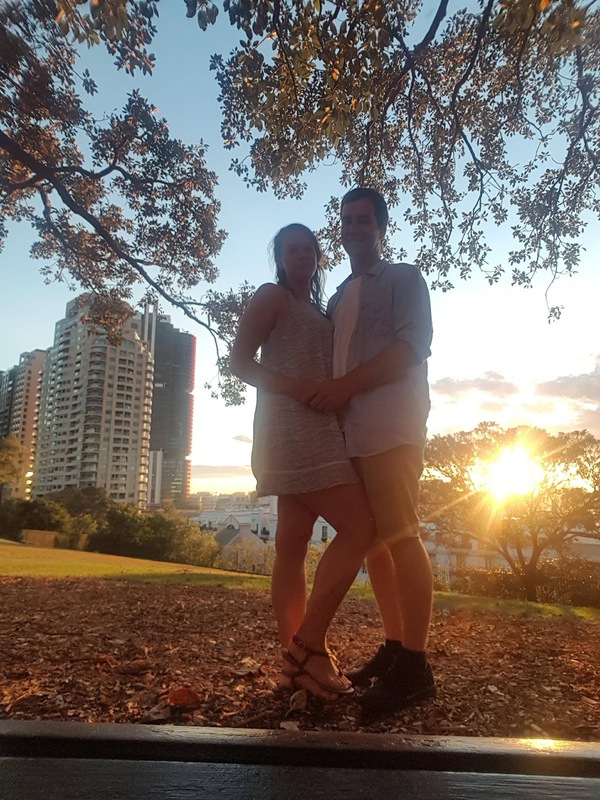 Tegan and Grant - Congratulations! 2018, we hope that there is going to be alot more to celebrate this year, but we will give you updated performance appraisals as the year goes on. It's the least we can do in anticipation of how great you are going to be in your role as "the new year of the mad house". 2017, your predecessor, well, they left alot of things undone, and whist their performance was overall outstanding, they really failed to live up to their potential. They didn't get new signage, the landscaping is only half done, and the website? 2017 didn't put much effort into that. Maybe I am being harsh! Yes, 2017 you did bring our KLaser, a Class IV Medical therapy laser, which has helped so many pets on their road to recovery from their illnesses and injuries. And yes, those goggles do look cute! Well, actually, this is a big feather in 2017's cap! Well done in bringing one of many Dr Liz's dreams into reality! You also brought a new paint job inside and outside of our vet hospital. The inside walls are no longer "Antique White" but a lovely shade of grey with white trims. And yes, it took alot to convince me to paint the main window. Do you realise that 20 years ago, I spent the better half of 3 weeks scraping off 8 layers of paint of those windows? Back to timber, so I could stain it? I had to succumb to "fashion" and have it painted. But yes, it does look B....y Great! 2017, you also brought new flooring too! Gone is the yellow! At least the yellow hid the dog's pee well. Unfortunately, dogs don't care what colour the floor is when they want to add to the post it note of "I was here too". Outside though, has been the biggest transformation - from painting the roof, new guttering, removing a tree or two, as well as painting the cladding, the building renovation is almost complete. Signage was going to be changed in 2017 too but getting a design I was happy with has been, well, a challenge. It now becomes 2018's problem. Sorry 2018! 2017, we will all agree, was the "Year of the Work Experience Student", as we welcomed so many enthusiastic young, eager and idealistic young ones. For them it is all about the animals and what we can do to help them. It is hard giving them the reality of what we do, in dealing with pet owners who are unable or unwilling to pay for their pet's care, without destroying their idealistic view that everyone cares about animals as much as they do. 2017 was also the year that we let Dr Andrew from Veterinary Specialists of Sydney visit us - well, 'let" is probably harsh, but as my vet hospital and her pets are like my children, I admit to being fussy who I will recommend or allow to operate on them. He came to see us three times, and operated on 7 pets - ranging from removing salivary glands, repairing broken legs, amputating limbs and cruciate repairs. What else did 2017 have in store for us? 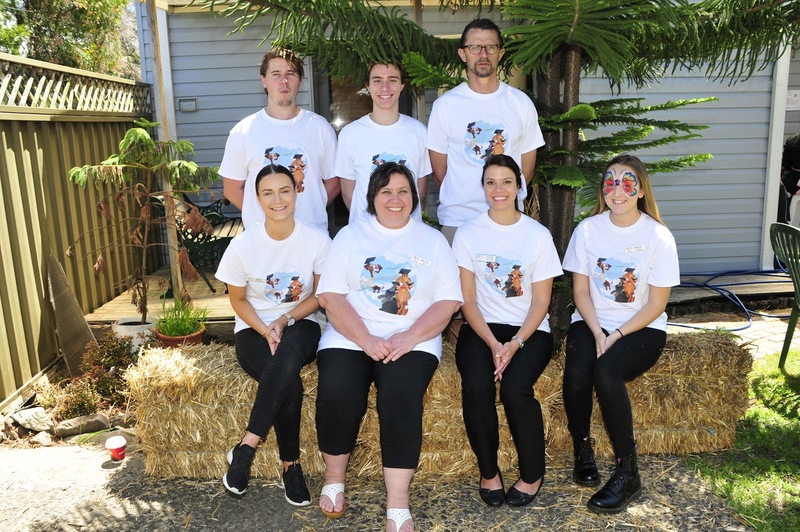 The lovely Erin, who spent a week doing work experience with us in 2016, then worked as a volunteer with us soon after whilst she Completed her Cert IV in Veterinary Nursing. In 2017, she began working for us on a permanent part time basis. You would've have seen her most Thursdays, as she does alot of the background work that keeps us going. And then, Woonona High School gave us another wonderful student, Beck, who did her work placement with us in 2017. In September,. 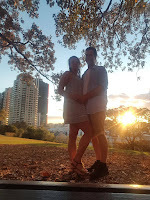 she joined us under a Traineeship to graduate from High School with her Cert II in Animal Studies. 2017, you gave us an interesting year! It did end with an impromptu media spot on WIN news. Poor Dirk. When he said yes to an interview with me, he thought it was a phone one, so when they turn up with a camera and reporter, well, it was a shock! He now knows that WIN news is TV! We never get home in time to watch the news, is our excuse! Alot of things went wrong too in 2017 - well, perhaps that is harsh. Worked against us, is probably a better phrase. 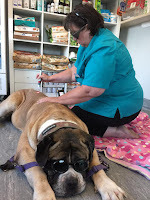 The traffic flow changed dramatically on Bellambi Lane, and it had to happen whilst Dirk and I were away at the FASAVA/World Vet Dental Congress in the Gold Coast. Why do they need two lanes turning north? when most of us usually head south most of the time! Bureaucracy and money! No need to say anything further. It was also the year of the most amazing disgustingly designed graffitti ever - (no, this is not a dare for someone else to do something worse). I have seen some beautiful graffitti art, but what was done on our building in 2017 was pure vandalism. You can still see it - it is on our window signage which will cost thousands of dollars to replace. Someone also decided they liked my name, my address and my birthdate, and so, ordered two iphones in my name! It took a weekend or two of multiple visits to JP's, Police and vodafone to get that debacle sorted. How easy it is to order such stuff, and how complicated it is to undo it. Then there was the idiot whose girlfriend brought in a stray kitten, but in exchange, stole our bluetooth speaker. The speaker that we use to send out relaxing music to reduce the fear, anxiety and stress of visiting pet owners and their pets. 2017 was also the year that I did not blog at all - for some that could be a good thing! The reasons why I didn't share what I had written is long, but I am going to ignore those reasons for 2018. Warning, 2018... the blogging mad Dr Liz.....is BACK! Overall, 2017, I think you did alright, all things considered. I hadn't planned on doing much, but you just had to throw a firecracker or two in to get things happening. All I can say is, I am back and I am excited! the furkids Pandora, Pumpkin (at the vets) Piper, Dash, Stone (at home) , Marble (with Tegan) , Bun Bun (our rabbit at home) , Gandalph (the guinea pig at work) and Hobbs (the newest three legged friend of Marble).